Welcome To Funky Folk Music's Official Site! "Bringing you the very best jazz and acoustic guitar..."
At Phunquie Pholk Music we are proud to present some of the best acoustic and jazz guitar based music available today. View our CDs page for current disc titles and purchase on-line. If you're a musician looking for instruction you can purchase books and DVDs as well or send us an e-mail for information on workshops & masterclasses near you. New: Our lesson videos by Eric Elias can now be downloaded through 99centguitarlessons.com. Jazz Guitar CD coming this fall. Look for more info coming soon on the CD page. 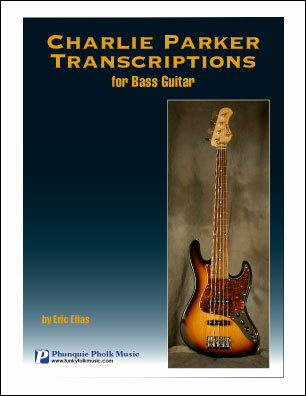 Also new books: The Art of Arranging for Solo Jazz Guitar, Charlie Parker Books (Mandolin and Bass) are available, also Arpeggio Chord and Position Studies, Walking Bass Lines for Guitar and more... Visit our books and Instructional DVDs pages for details.